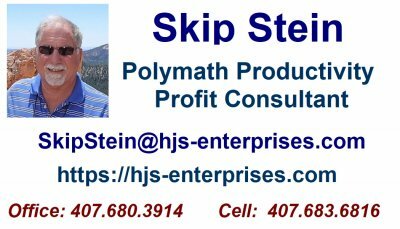 I specialize in Electronic Data Interchange (EDI), B2B Transactions, ETL systems, Enterprise Application Integration (EAI) and Electronic Business Flow Management (EBFM) systems that involve many different aspects of computer technology, including Project Management, Change Management, Conversion/Migration, ERP implementation and Strategic Planning. I am a business professional dealing with issues and solutions to problems in the areas of Information Lifecycle Data Management, electronic business transaction flow and business intelligence data storage & retrieval. With a focus on enterprise-wide business analytics I address the institutional challenges to reform the business processes across the board. I am a leader in the organizational challenge to move from a siloed approach to more inclusive information management programs that work across the entire company. I have worked with most prevalent transaction sets, including ANSI X12, X12N (HIPAA), Tradacoms (UK), EDIFACT (EU), XML (various) and other variations. I have applied these transactions in transportation, pharmaceutical, manufacturing, wholesale/retail, shipping & distribution, healthcare, electronics and other industries around the world. As an experienced computer systems professional, I have gained valuable skills and knowledge by working in a wide range of industries and applying a varied set of technology solutions to complete project tasks and resolve client problems. Our employment and consulting history includes such businesses as Manufacturing/Distribution, Pharmaceuticals, Oil & Gas, Petrochemical, Telecommunications, Public Accounting, Banking and Finance, Resort and Hotel Management, and Retail Sales and Distribution. Within these organizations, I have performed in positions as Programmer Analyst, Project Manager, Operations Director, Director of Development and Chief Information & Technology Officer. I work with ERP/CRM systems with an emphasis on Order-to-Cash, Procure-to-Pay and the deployment of the EDI interface transactions and third party systems interfaces. Conversion, migration and integration to third party systems (shipping, transportation, etc.) are functional areas where I excel. As experienced Data Architects, I have designed interfaces and conversion requirements for several company implementations. As a Certified Information Systems Auditor (CISA, I also function as an Internal Controls and Sarbanes-Oxley compliance consultant. My skills include the ability to take charge of projects and complete them in a timely manner. Since each task of a successful Project depends on all previous and subsequent tasks, I have developed Project Management skills utilizing Precedence and Critical Path Method management techniques. My experience with various computational frameworks, including Client Server, Distributed Data Warehousing, and Centralized Mainframe, provide a basis for the constant learning processes. Most recently I have worked with Electronic Business Flow Management (EBFM) systems utilizing EDI and Web Commerce tools to implement business-to-business communications solutions. EDI Standards: ANSI X.12, EDIFACT, VICS, UCS, ODETTE, TRADACOMS, PIDX and HIPAA X12N, AS2 Security including Secure FTP, Softshare, Trailblazer, Boomi , Inovis/QRS, Gentran, EDIFECS, etc. Computer Software: MVS/XA, SNA/VTAM, UNIX, OS/400, IBM i 6.1, PICK OS, Oracle, DB2, MS/SQL, MySQL, MS/Access, Open Office Suites, Windows 2003/2000 Server, Windows Vista/XP/2000, Microsoft Sharepoint, MS Office ,MS Project, Access , Internet TCP/IP, MS SQL, Oracle, Informix, Novell, Sterling Software’s Connect: Direct (NDM), Sterling Gentran, Inovis/Harbinger/TLE/Premenos, IPNet, Boomi, Softshare, 1EDI Source, TrueCommerce, and other EDI Transaction Mapping Systems and EDIFECS Specbuilder and HIPAA Suites. Implemented and automated the Procure to Pay Purchasing Department EDI integration with key suppliers for a Mid-South Refinery. Designed electronic commerce (EDI) transaction specification, standards and business processing procedures. Worked directly with suppliers to coordinate and test full purchase functionality for blanket ordering, stock and non-stock items controlled by the JD Edwards ERP system. Full EDI implementation using Liaison Delta/ECS platform and interfacing to JD Edwards EDI Subsystems. JD Edwards integration remediation. Coordinate business process enhancements across all business units. Revise and implement new business practices to deal with newly installed JD Edwards ERP system. Plan integration process and electronic transaction processing for Order to Cash, Procure to Pay and banking/financial integration. Design and implement inbound EDI three way invoice matching processing for a large distribution company. Worked the procure to pay business cycle and re-engineered procurement and invoice payment processing. Establish electronic payment processing to replace ‘paper checks’ to expedite payment processing. Set up JD Edwards to accept inbound EDI invoices for documents EDI 110, 210 and 810. Initiated remittance advice transmission to suppliers (EDI 820) for invoice payments. Conducted an analytical review and developed a requirements plan to migrate a national manufacturing company from a heavily modified JD Edwards system to Oracle Enterprise One (JDE). In addition the electronic processing interface was analyzed and the immediate production failures were temporarily remediated; with a plan for a more permanent solution to be implemented with the migration to Enterprise One. Developed an internal Accounts Receivable (A/R) processes to enable the receipt of ANSI X.12 EDI remittance advice transactions (RA820) into the JD Edwards OneWorld Accounts Receivable system for a leading manufacturer of windows, doors and molding products. The project included building interfaces to J D Edwards (JDE) OneWorld Enterprise Resource Planning (ERP) A/R system for trade customer payments and remittance data, implementing automated cash application processes for JDE OneWorld A/R and training internal resources for executing the necessary manual A/R cash application activities. The EDI interface was implemented utilizing Liaison ECS Data Solutions data communications tools and Delta transaction set mapping. Deployed a trading partner system for a major electronics company that electronically supplies a comprehensive set of data and information to the Strategic Supplier/Partners. The Strategic Supplier/Partner utilizes this data to establish an optimized supply chain and replenishment strategy for each item to be supplied to the electronics company. The model is based on a mutually beneficial “partnership”. The Supplier/Partner is allowed certain latitudes in setting up the strategic and tactical deployment methodologies and is measured on the overall success of the model versus the more traditional customer/supplier methods and metrics. The two prime objectives of the business model are increased inventory turns while increasing the Customers’ schedule flexibility in a zero stock-out, and Supplier managed MRP environment utilizing EDI and electronic commerce. The overall program objective is to share vital information with the Supplier/Partner to allow for the transitioning of the decision-making process from within the electronics company to the supply chain link with the greatest degree of control and flexibility; the electronics distribution channel. Developed internal Accounts Receivable processes for an international household appliance manufacturer and distributor encompassing activities currently provided by a third party service. Implemented EDI interfaces to A/R for trade customer payments and remittance data; established trade customer lock-boxes, built an automated cash application process for A/R, and staffed/trained internal resources for executing the necessary manual A/R cash application activities. Project included banking lock box interfaces be developed with electronic funds transfer processing and automated remittance advice processing utilizing EDI X.12 standard transaction sets (820 & 823) with adjustment activity reported on EDI X.12 (812) transactions. Completed a migration to Oracle based ROSS ERP systems and full implementation of Gentran Server EDI interfaces to national retail chains for processing purchase orders and invoicing. The project required setup and testing with multiple large national retail chain store operations and order entry systems for the manufacturing, shipment and delivery of drug and pharmacological products. Implemented EDI capabilities and training in Europe for an International Pharmaceutical company on AS/400 platform and EDI translation software via a value added network and corporate WAN. Interfaced ERP software systems to European based warehouse operations and locally developed warehouse management systems. Trained project team in EDI functionality and interface standards and assisted in the development and deployment of the bridging application systems implementation. Acted as liaison project manager to USA based EDI support and development team throughout the deployment process. Install, configure and implement Gentran Server for a large East Coast Pharmaceutical wholesale drug manufacturing company with interfaces to Oracle EDI Gateway. Established value added network (VAN) connectivity and completed trading partner mapping and processing for Oracle ERP/Financial System processing. Trained the staff in usage of Gentran mapping components and requirements to upgrade maps to X.12 4010 standards. Implement Gentran Server for a large beverage bottling company. Manage the migration from AS/400 Inovis to Gentran in preparation for ERP implementation of SAP R3. Develop mapping interfaces utilizing current versions of X.12 and VICS standards to major retail outlets. Train local personal in utilization, mapping and management of the system. Assist in the development of application systems interfaces to legacy systems for interim processing with a planned migration path to SAP IDOC format. Established full Electronic Data Interchange (EDI) services for an International Pharmaceutical company using EDI/400 and TrustedLink Enterprise (TLE) services. This included the interface to existing AS/400 distribution systems and the Financial and Distribution systems at multiple international locations. EDI services were established in support of both intra-company and external trading partner relationships. Full sales order, purchase order, receipt and manifesting processes were supported as well as shipping and delivery interfaces with international freight forwarders. Both ANSI X.12 and EDIFACTS standards were utilized. Analyzed the accounting and sales order entry system for a national manufacturing and distribution company of petroleum-based products to establish trading partner electronic interfaces. Selected and installed electronic data exchange (EDI) software to interface to the accounting systems to map order entry and sales information to standard ANSI X.12 EDI transaction sets. Developed the necessary programs and procedures to map the trading partner transaction sets to acceptable input data formats for input into the company’s accounting systems.